Prediction | Watts Up With That? February 12, 2014 in Forecasting, Temperature. November 21, 2013 in Climate FAIL, Forecasting, MetOffice, Modeling. September 13, 2013 in Solar. June 3, 2013 in Solar. May 17, 2013 in Climate News, Extinction. May 14, 2013 in Climate News. Finally, a climate forecast model that works? January 24, 2013 in Forecasting, Modeling. December 19, 2012 in Uncategorized. June 14, 2012 in Modeling. 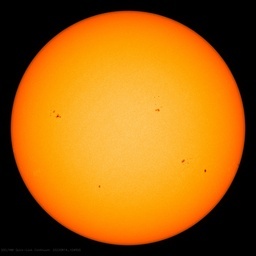 May 2, 2012 in Science, Solar.